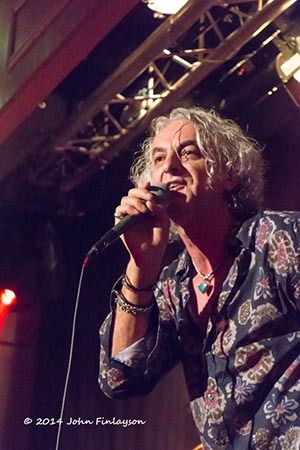 In January 2016 after more than 25 years together and some amazing times and awesome support, The Idle Hands decided to break up following the serious illness but full recovery from throat cancer of vocalist Phil Allen. We would like to send a heartfelt thank you to our amazing families, friends and fans without whose constant support we could not have achieved what we did. 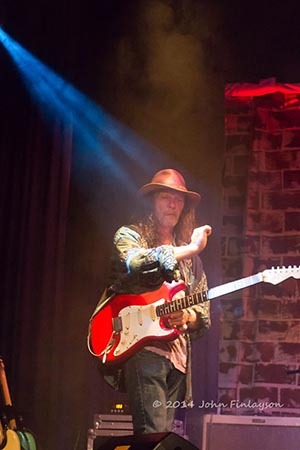 Everyone worked hard together to achieve a rise from popular local pub band to a dynamic and well respected British Blues Award winning band performing at many of the UK’s most prestigious Blues Rock clubs and Festivals. We cannot express how grateful we have been for your amazing support over the years. The incredible live performance and cd reviews and radio show support and we hope that you will continue to listen to our cd’s and watch the YouTube videos and keep the legend of The Idle Hands alive! Our website will remain open for anyone wishing to contact us or buy cds. So a final Goodnight and Thank You for all the love. 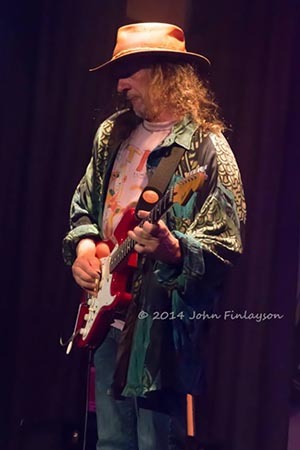 FEB '15 - Darlington Blues was wonderful, super club, team and audience, look forward to next time! JAN '15 - Halifax show was excellent we had a superb night, big thanks to all who joined us there! JAN '15 - Thank you to Ben and his team at The Independent Sunderland for your superb hospitality. 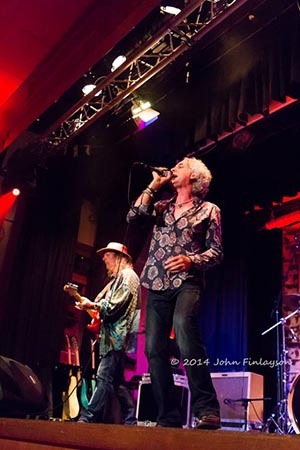 Many thanks to John F for these fantastic images from Sedgefield Rock and Blues Club. "AN EXCEPTIONAL NEW 12 TRACK ALBUM FROM THE MASTERS OF BRITISH HARD ROCK BLUES"
"In the time honoured tradition when all creative musicians must search for the holy grail of pure artistic inspiration which creates and reinforces their own identity a seminal moment occurs, like Robert Johnson standing at the crossroads The Idle Hands have now been overwhelmed by their own magic to produce an album of song potions for the heart, body and soul, the results are electrifying. 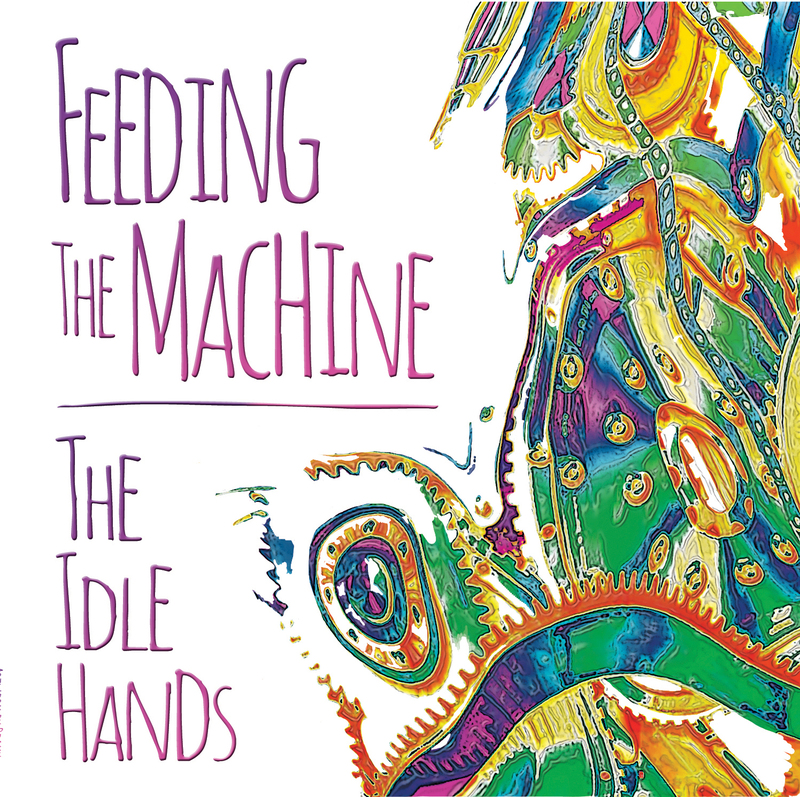 “Feeding The Machine” is much more than just another blues/rock album as it has depth and variety with every song containing something different for the listener to latch onto. 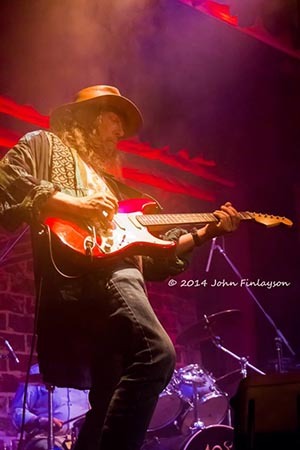 From the blues/funk groove of “Read Your Mind” to the stylistic mississippi porch dobro sounds of “Your Song Goes On” it also has the added bonus of some very momentous tracks just waiting to be discovered that must be given pride of place in this album. “Sad Again” is one of those such tracks which is a sentimental guitar blues instrumental reminiscent of Gary Moore and Snowy White which avoids some of the pitfalls of a clichéd power surge solo, with the recording defying overkill relying on just pure emotion which pulls your heart strings in tune with the song." 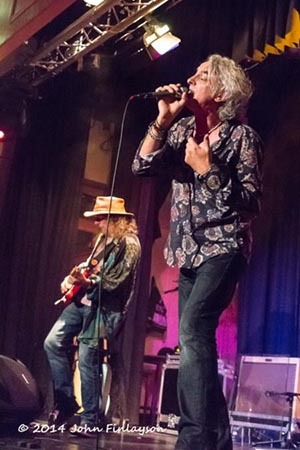 "The intro' to the album gives you a raw and rockin' blues number, 'Fever', introducing the talents of Dave on guitar and Phil on blues harp. Following this, 'The Devil And The Deep Blue' is an 'in the groove' blues rock track with some great rhythms. Moving towards rock n' roll, 'Get Up And Dance' adds a different flavour. 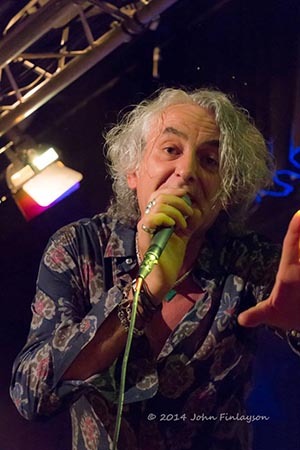 'Read Your Mind' however, is a classic rock number with great vocals from Phil, with a bit of funky stuff towards the end which all adds to the interest." Amongst some very respected names! 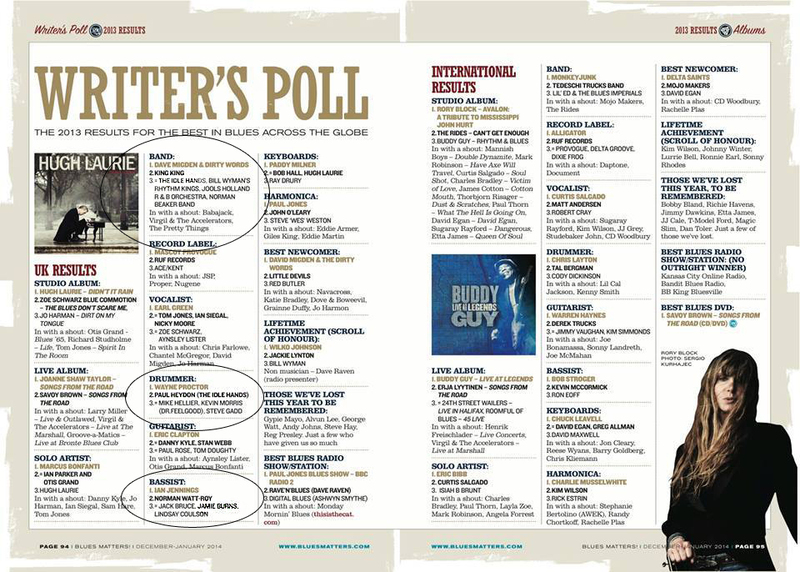 Thank You Blues Matters Writers! 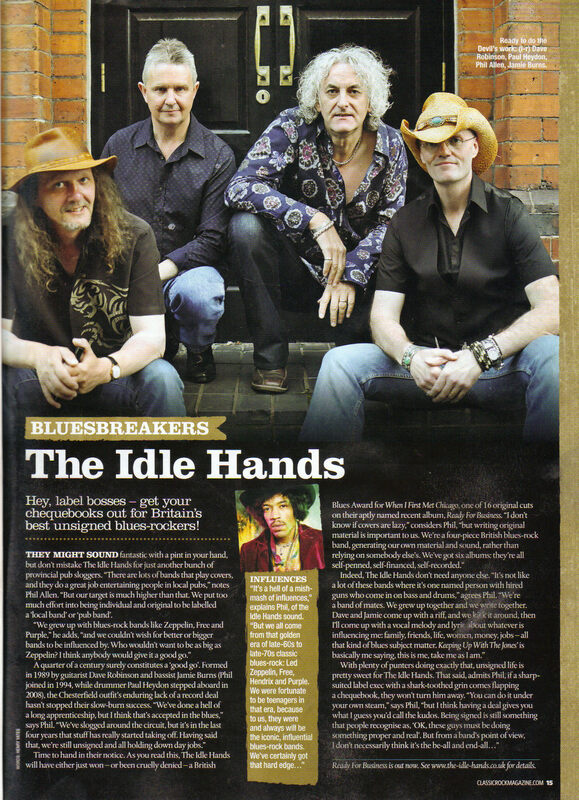 A fabulous feature in 'Classic Rock presents The Blues' magazine Issue 3. 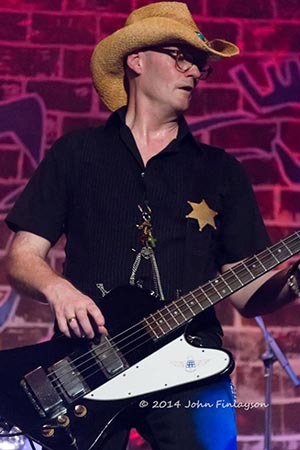 "Hey, Label Bosses", "Get your chequebooks out for Britains best unsigned Blues rockers".